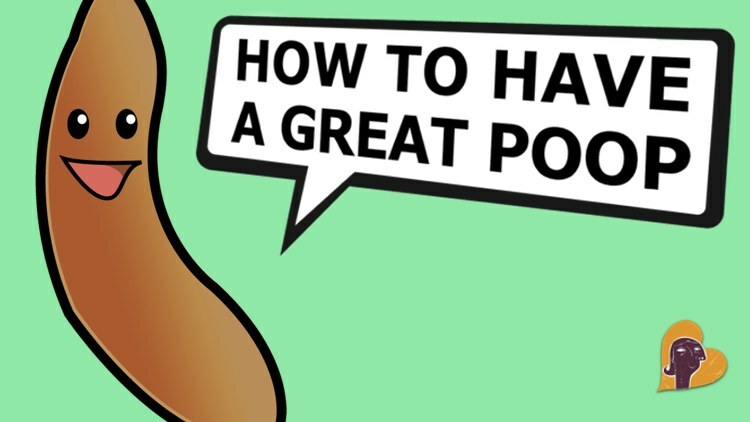 It’s time to talk about POOP! Let’s be honest. We spend a lot of time thinking about our poop. 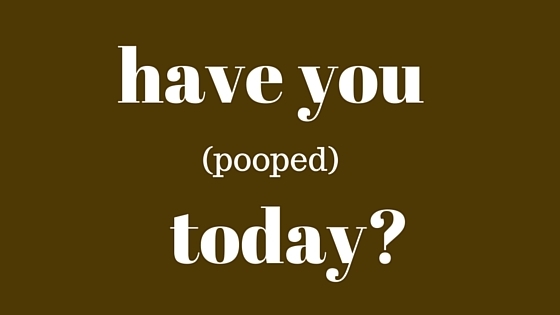 Whether we poop or not can literally change our entire mood, our whole day, maybe even our week. As a nutritionist, I spend an unusual amount of time talking to people about how often they do or don’t go to the bathroom. And no, it is actually not “normal” to only poop once every couple of days. Healthy bowel habits would have us going to the bathroom at least once a day. 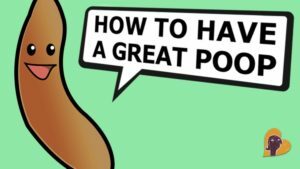 Here are my top 5 tips for encouraging healthy bowel movements. I know, you’re not thirsty. Know why? Because you are not drinking anything. The more you drink, the thirstier you get. Seriously. And staying well hydrated has everything to do with regularity in the bathroom. So, drink up! Most of us do not get anywhere near enough fibre in our diet. Great food sources of fibre are: avocado, pears, berries, coconut, artichokes, peas, brussel sprouts, beans, chickpeas, nuts, flax seeds, and chia seeds. Just a tip, I add hemp hearts to so many things. They are a great source of fibre and protein. Nutritional double whammy! Many of us do not get enough magnesium in our diet. Magnesium is great to encourage regular poops because it plays an important role in muscle function. Since the entire digestive tract is like one long muscle…well. you get me. I like Genestra Magnesium glycinate. Be careful though. Dosage is to tolerance. If you take too much, you could end up with the opposite of constipation. Simple. Keep your body moving and your bowels may start moving too. Plus, it’s just good for your overall health. Even 15-20 minutes of exercise daily should do the trick. Get outside, make a working lunch a walking lunch. Take your kids for a bike ride. Go for a swim. Just move. The truth is if you take care of this one, you will also be looking after # 2 and #3 on the list. Stay away from processed foods as much as possible. The added sugars, artificial flavourings and preservatives are no friend to the POOP. In particular, those things don’t really belong in our body, they are non-nutrients. If anything, your body will likely try and hold onto them as a protection mechanism, just so they don’t travel through your system. This can cause a “back-up” shall we say, and poop will be…stalled. Stick with fresh-made ingredients or products with less than 5 ingredients listed, and make sure that you can pronounce all of them!